When more and more often the wind whips through the streets and rain comes knocking at the window, when the days grow shorter and the nights grow longer, then autumn is here, challenging us with its raw power and fascinating vivacity. Now it’s time to turn up one’s coat collar and face the storms of the season with composure – striking, robust and style-conscious. 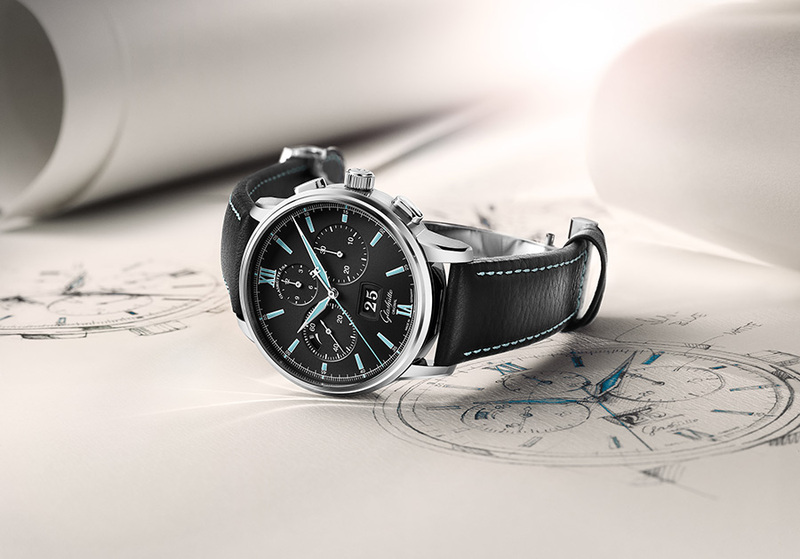 These are precisely the qualities that characterise the Senator Chronograph Panorama Date from Glashütte Original, united in a timepiece of exceptional reliability and casual elegance. 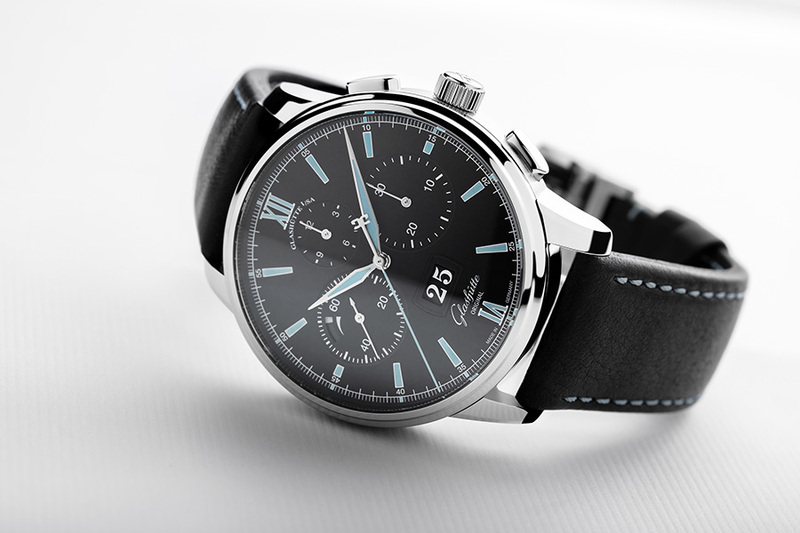 The manufactory chronograph in stainless steel celebrated its successful premiere in March 2017 at Baselworld. It is based on the integrated Calibre 37 chronograph movement, developed to set new standards for maximum functionality and everyday use. 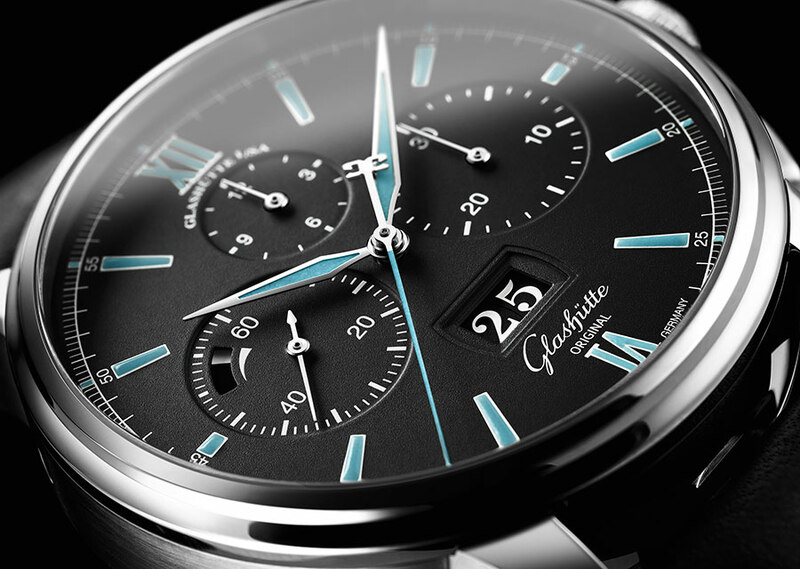 With this new addition Glashütte Original did more than simply add a third version to the line it had launched with platinum and red gold models. It also gave its classic and elegant Senator line a much-admired impulse with the stainless steel version’s contemporary design. 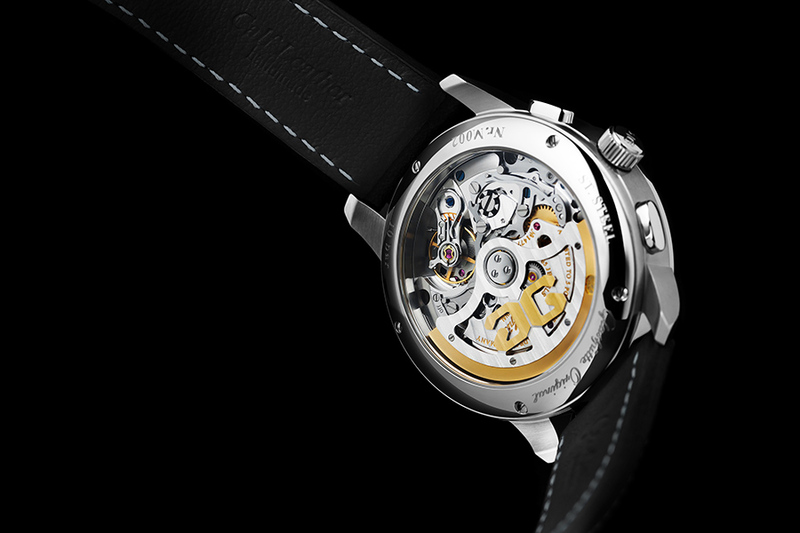 Seldom has robust functionality been presented with such style as in this watch. 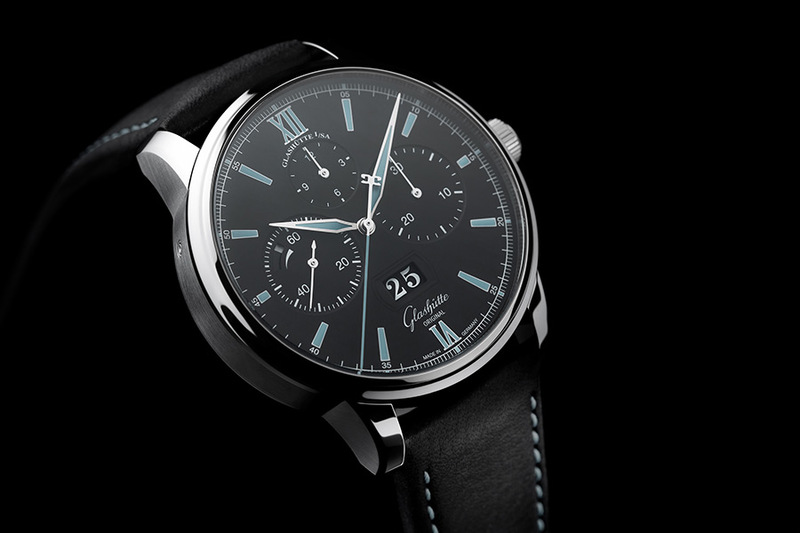 As winter approaches and twilight falls earlier every day, the Senator Chronograph Panorama Date gives evidence of its reliability in illuminating fashion: Thanks to luminous blue Super-LumiNova on the white gold hour, minute and stop seconds hands, the Roman numerals at 6 and 12 o’clock, and on the hour indexes, all indicators are perfectly legible in the dark as well. One can rely all night on the impressive blue glow of the highlights, if they have first been activated by intense artificial or natural light. 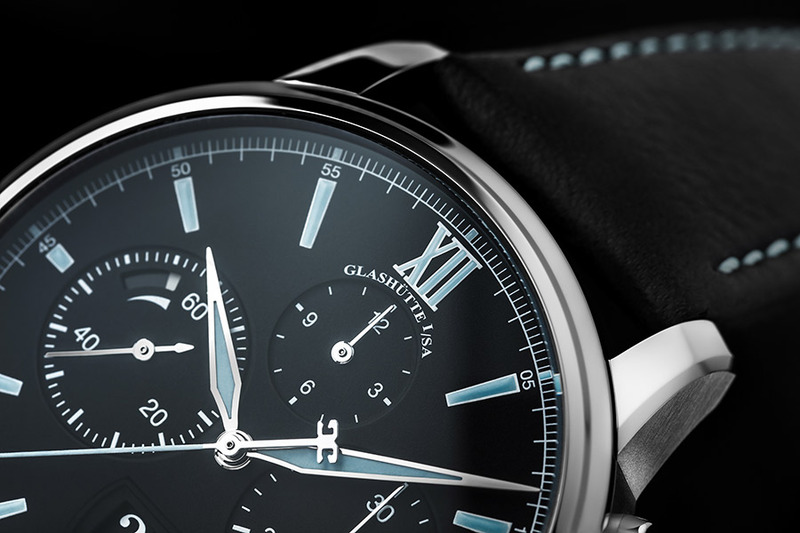 By day, too, the Senator Chronograph Panorama Date offers optimal legibility. 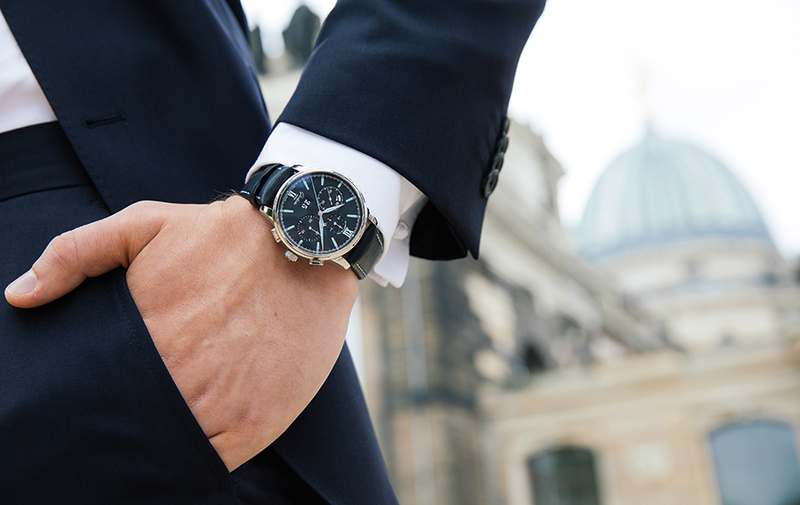 The polished hands and numerous white details ensure clear contrasts on the deep black dial, crafted by experienced experts in the watchmaker’s own dial manufactory in Pforzheim. Dial visuals exhibit the Senator line’s characteristic symmetry in the form of 30-minute and 12-hour counters and a small seconds dial. 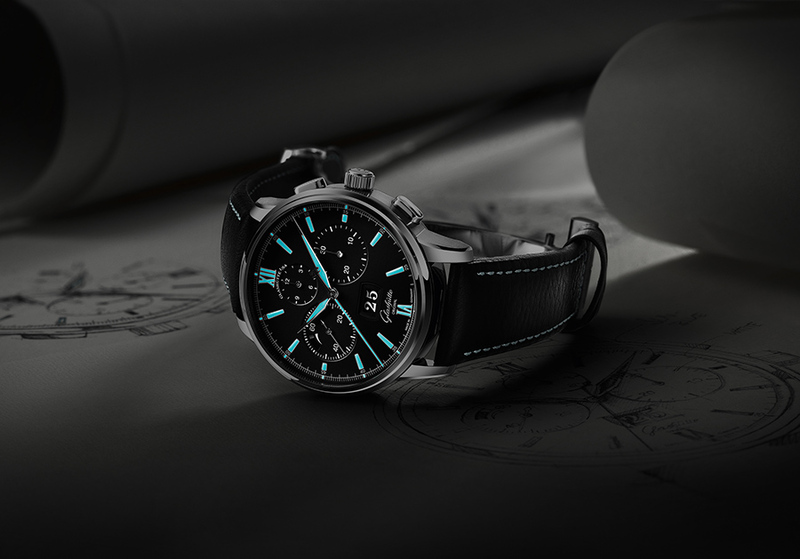 The harmonious arrangement of the three chronograph displays is gracefully enhanced by the discreet, yet impressive power reserve indicator positioned within the small seconds. 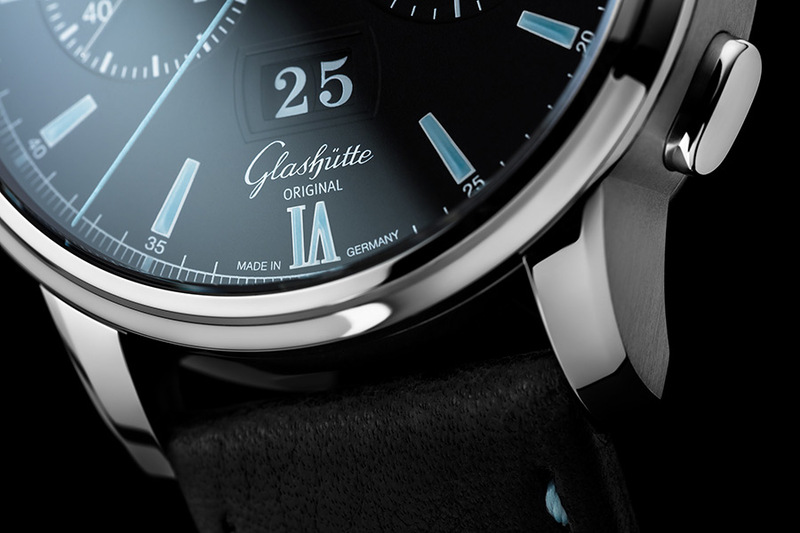 The characteristic Glashütte Original Panorama Date rounds off this ensemble perfectly. 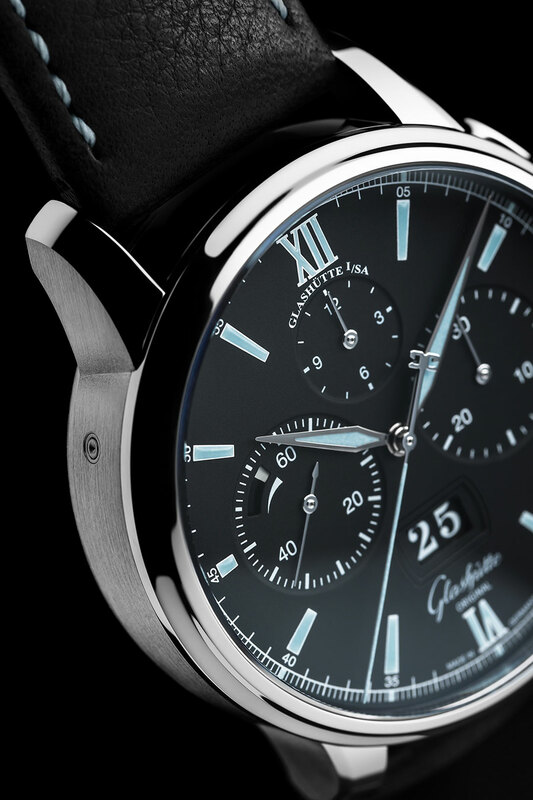 Placed below the counter triad, it underscores the harmonious design of the dial. Additional details pay due respect to its 20-year tradition of enhanced legibility: the two date discs are placed on the same level without a central separation bar, enabling the ever smooth and impressive appearance of the date in its large window. In this way the Senator Chronograph Panorama Date provides the right answer to all questions of style: The hour indexes, which replace its predecessor’s Roman numerals at all but 6 and 12 hours; the alternately satin-brushed and polished 42 mm stainless steel case, or the judicious and striking use of luminous blue highlighting – these are the elements that catch the eye and lend this chronograph its sporty look. 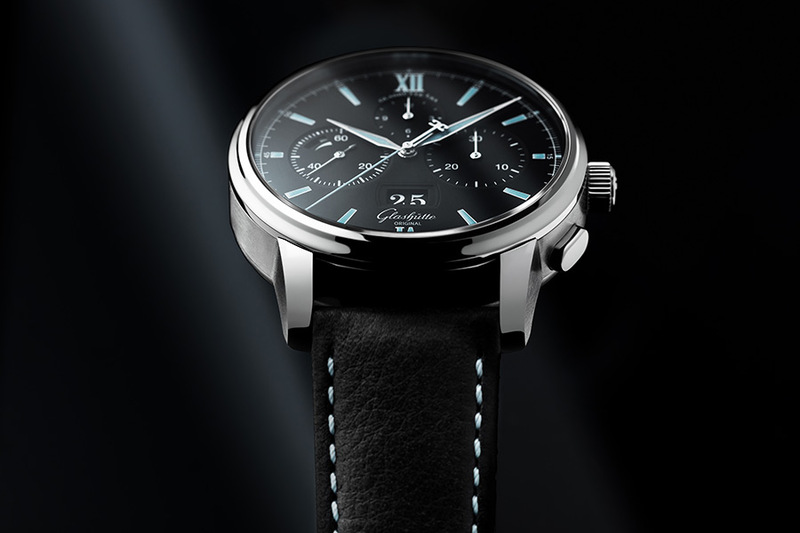 And to show that sport and elegance are by no means mutually exclusive here, the Glashütte watchmakers have set such well-chosen accents as the double-G counterweight on the seconds hand, oval chronograph pushers to the right and left of the crown, and tiny luminous points on the discreet seconds scale. The fine stitching on the black calfskin strap is perfectly attuned to the hue of the dial’s blue Super-LumiNova highlights. The black rubber strap is enhanced by a laser-cut relief pattern. And the stainless steel bracelet’s patented, innovative closure features an adjustment mechanism designed for optimal wearer comfort with eight settings, precise to the millimetre – while a double security mechanism prevents it from opening by chance. The heart of this timepiece beats in the integrated Calibre 37 chronograph movement with flyback mechanism and 12-hour chronograph counter. Perfectly tuned and easy to operate, it guarantees – thanks to excellent rate performance – the watch’s exceptional precision. One should also note that with its power reserve of 70 hours when fully wound, this automatic movement reaches the very highest levels in the area of mechanical chronographs. 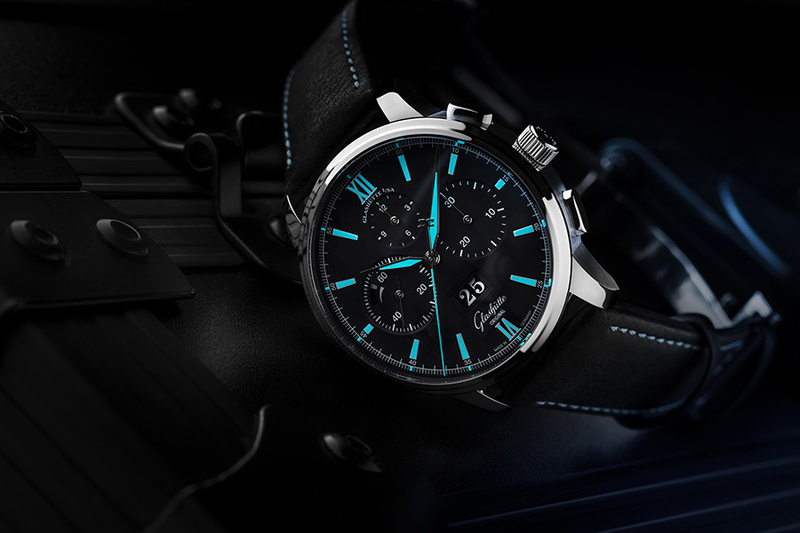 This is the Senator Chronograph Panorama Date: Its sporty design presents the art of German engineering - exceptionally precise and yet absolutely reliable for everyday use – in a stylish manner. At the same time its striking details underscore just how complex and multi-facetted a chronograph can be – not unlike the man who wears this watch.